Calfornian rock trio IDLEWAR have unveiled the video for 'Glory', the latest track to be released from their extremely well received debut album, 'Impulse'. With less than two weeks to go before the Californians make their live debut in the United Kingdom, this new music video features Idlewar at rehearsal, jamming songs in preparation for a UK tour with STONE BROKEN, and their slot at this year's SOLD OUT Rockstock on the 3rd of December. With the release of 'Impulse' and last year's 'DIG IN' ep, Idlewar are fast becoming renowned for their material's groove laden riffage and incredibly rich hooks, whilst the lyrics reflect on topics that are more than ever relevant to society today. "Glory is about being aware of perilous times and preparing for them by becoming better people. We don't need to idolize martyrs or appease the masses. People just need to be the best version of themselves. If we all did that together, we'll be able to overcome the darkness." (James Blake - vocals / bass). 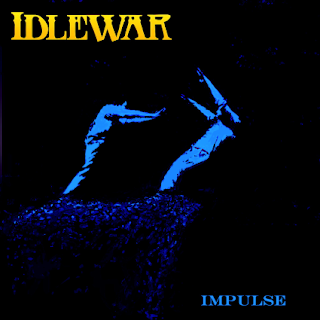 Idlewar’s debut album 'Impulse' is out now via PHD, with the CD available to buy in-store at HMV, and online at Amazon, iTunes, and all other good digital retailers.